In US nuclear lingo, a broken arrow event is a nuclear incident that does not create the risk of a war. That may sound harmless, but it means that a nuclear weapon may detonate. It is, in fact, the level just before a NUCFLASH, the Hail Mary of nuclear disasters. Of the 32 broken arrow incidents the US has ever acknowledged, one of the most serious ones was in Morocco. After World War II, the US embarked on a military charm offensive around the world to get new bases for its nuclear weapons. It was churning them out by the thousands, and they needed to be as close to the target, the Soviet Republic, as possible. They also needed to be on as many points across the world as possible to give the Americans a strategic and tactical advantage. In 1951, the French allowed the US to build a new air base in Morocco, then a colony. The US Strategic Air Command went on to build four fully functional air bases within Morocco, deploying B-36 and B-47 bombers and secretly stockpiling nuclear weapons by 1954. Two years later, Morocco became an independent kingdom. Almost immediately, there were calls within Morocco and from neighboring countries in the Arab Peninsula to expel the US from their air bases. These calls would go on until 1963 when the US finally left, but not before a near catastrophic broken arrow event right in the heart of the country. On the last day of January 1958, one of the rear wheels of a B-47 on simulated takeoff at the Sidi Slimane base failed, starting a fire that spread and ruptured a fuel tank. 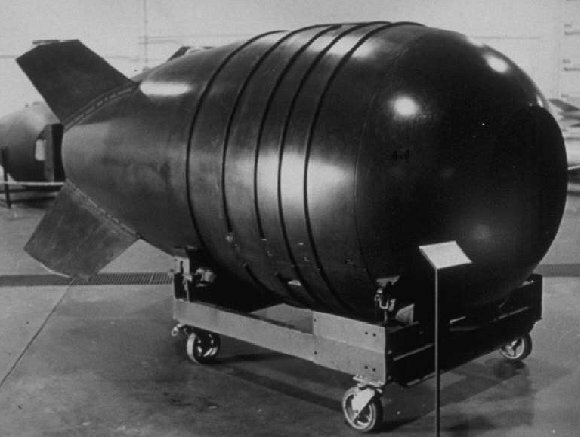 The bomber was loaded with an armed 4-tonne second-generation atomic bomb called the Mark 36. It was a transitional weapon, combining the technologies of the bombs dropped on Japan with new technologies. That made it one of the most powerful bombs, if not the most powerful at the time, of its kind. The crewmen escaped before the fire spread. The explosives in the bomb burned but never detonated, thankfully. Firefighters fought the flames for 10 minutes before hurriedly withdrawing as the commanding general of the air base ordered an evacuation. Airmen and their families sped out of the airbase, knowing full well they probably would not be far enough if the nuclear reaction started. Instead of detonating, the burning explosives meshed together with the B-47’s smoldering parts into a slab. The minimal meltdown caused some contamination to the area and to the clothing of one of the firemen. The fire totaled the bomber and burnt a hole on the runway, but no one died. The slab had to be broken with a sledgehammer and the slag buried next to the runway. In the clean up, a few airmen got specks of plutonium dust on their pants and shoes, which they unknowingly carried to another base. A small official denial made it to The New York Times two days later, but the State Department advised the Air Force against issuing an official statement. Documents released in the 1990s revealed that King Mohammed had been briefed on the incident. No one else in Morocco ever knew their lives had almost been pulverized by a nuclear catastrophe.? Just a few weeks later, another Mark 6 bomb fell from a bomber in Mars Bluff, South Carolina, into Walter Gregg’s compound. A crewman accidentally pulled the manual release level, unlocking the bomb from its hold and to the world below. Walter Gregg and his son were in tool shed when the nuclear bomb fell on their backyard. This one wasn’t as easy to hide from the world. The Sidi Slimane incident was not the only nuclear incident in North Africa. On the first day of May 1962, a French underground test in Algeria accidentally spewed a 2600m plume and exposed thousands of people to radiation as it spread and was detected hundreds of kilometers away.